Well, I’ve survived the holidays…so far anyway. We still have holiday party number six to attend on Saturday. Yep…that’s one work party and five family Christmases. My family is indeed insane, but I adore their crazyasses anyway. Other than writing like a madwoman and listening to the gleeful sounds of the boys playing Modern Warfare 2 and Halo ODST (all hail the x-box) I haven’t been doing much. But, I do have new cover art to share! 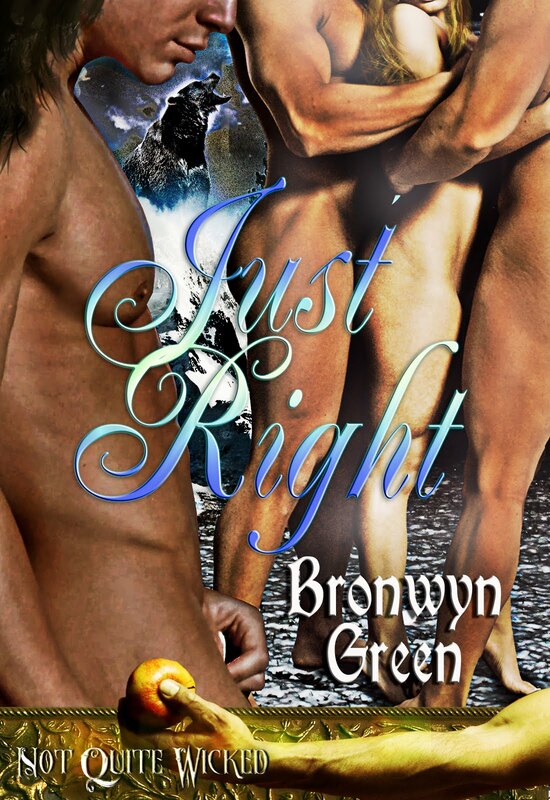 Just Right will be releasing from Resplendence Publishing on January 19th as part of the Not Quite Wicked series with three of my fantabulous friends – Brynn Paulin, Mia Watts and Dakota Rebel. This is pretty much how I’ve spent my break so far. Trying to write while Herne sleeps on me. It’s a pretty comfortable arrangement, unless of course I need a drink or have to pee. Then, there’s kitty angst. Well, back to it – I’ve got deadlines to meet and cats to appease. Kitty angst. Thank you. I needed a word for that! Great cover!!! I'm telling you, this book will be great – look at that cover and look at that cat! Glad your holidays were as crazy as ours! I'm jealous. An awesome cover and a cat that will at least sleep. 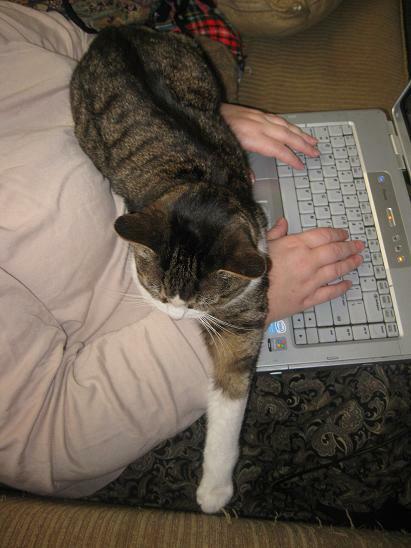 Halo has decided it's his job to try to jump on the keyboard whenever I want to write… yup, distraction 2001… much like the uses of duct tape. Hey, wait, maybe I just thought of use 2002. Just kidding. Oh, and I so hate that the name is PERFECT! I don't suppose Jen has a few more trolling around in her head? No really? Anything? Hooray, new book! Throw us a reminder on your blog the day it comes out, okay? My brain leaks and I don't want to miss it. WOW, you've been swamped! Congrats on the upcoming release. Just think. Pretty soon the kids will be back in school and life will return to semi-normal. ← I’d like to introduce…Charlotte Stein!